Pain is a symptom that gives any person an unpleasant experience. Acute pain is temporary but when it lasts beyond the time of healing, it is considered chronic. Unlike wrinkles and gray hairs, pain is not a part of normal aging. In seniors, chronic pain can be caused by musculoskeletal disorders like osteoporosis and arthritis. Chronic pain can significantly affect aging people who live on their own, threatening their quality of life. However, many of those who suffer the pain do not report their experience or discuss its effect with their healthcare providers. Galaxy Home Health Care LLC wants to help seniors and their families understand how chronic pain affects aging people. Chronic pain is associated with depression, poor physical functioning, and sleep disturbances. Such issues can make seniors more dependent on other people to do or complete activities of daily of living. This usually results in isolation and expensive healthcare costs. Because of pain, seniors may have a reduced ability to cope with their condition. 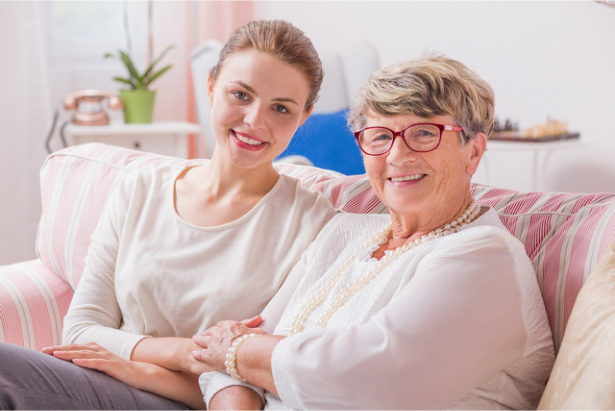 Fortunately, home health care in Alexandria, Virginia is a solution that seniors can consider. There are many ways chronic pain can affect seniors’ sleeping patterns. Seniors who are in pain may have difficulty falling asleep. As seniors wake up frequently in the middle of the night because of the pain, the quality of sleep suffers. Also, without enough sleep, their pain threshold will be reduced. A lot of aging people who experience chronic pain may be suffering from depression that makes it even more difficult for them to cope with their pain. Also, pain may cause seniors to lose their appetite for food, causing malnutrition. Chronic pain caused by arthritis can interfere with daily activities and make it difficult for seniors to stay active. In turn, this usually results in distress. There are many pain management medication options available. But, co-existing medical conditions and physical changes that seniors experience can make it challenging to determine the right pharmacologic measures for them. Because of this, some medications may not be appropriate to manage their pain. This makes it essential for seniors to work with their physicians. With the assistance of a provider of Health Care Service in Virginia, managing pain medications can be done effectively. It’s important for family caregivers to create a plan of care to address the pain of their senior loved ones. This plan must determine the level of pain management that seniors need to reach the functional ability they desire. Caregivers may need to help their seniors when creating realistic goals. They should determine the functional limitations associated with pain that their loved ones find distressing. Don’t let your senior’s pain get the best of them. As long as help is available to them, they will be able to cope with it. For their home health care needs, give us a call today. This entry was posted in Home Health Care and tagged Chronic Pain, health care, Senior care. Bookmark the permalink.